← Brotherly Love- Ed and I when we were little. Always together! 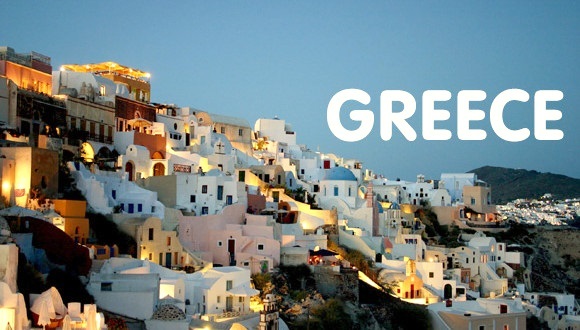 Greece is being pulled back frm the economic and financial edge. Over the weekend EU leaders agreed to give Greece €86B ($96B) for new bailout loans. The carrot depends on Greece accepting an increase in austerity cuts that last week Greek voters voted against. The deal is characterized as a total surrender to Greek creditors. “The deal is hard,” Mr. Tsipras said after the summit, warning that the measures required by creditors will send the country’s economy further into recession. No relaxing though; by Wednesday the Greek Parliament has to pass the overhauls and increase sales taxes. “The agreement was laborious. It took time but it was done,” said Jean-Claude Juncker, the president of the European Commission. Greece did get consideration to restructure its debt, making it easier to pay; likely won’t be enough to ease the pain though. Greece will suffer more oversight in the future; the EU micro-managing its debt payments and debt issues ; its debt is going to increase even more. Greece has already defaulted on its payment to the IMF, a payment to Treasury bill holders due last Friday and today another IMF payment will go unpaid. One cliff avoided, others still loom for Greece. Europe’s stock markets rallying, US stock index futures trading early this morning had the key indexes higher. US interest higher. The 10 early today up to 2.47%, +6 bps frm Friday’s 10 bp increase. MBS prices on Friday down 30 bps and early this morning down another 30 bps. At 9:30 The DJIA opened +145, NASDAQ +44, S&P +16; 10 yr at 9:30 2.45% +4 bp, 30 yr MBS price down 23 bps frm Friday’s close and -17 bps frm 9:30 Friday when lenders set morning prices. With the move away from the cliff in the EU, time to re-focus on US domestic data. The calendar this week is full of key reports (see the calendar below). On Wednesday and Thursday Janet Yellen will testify to Congress at the semi-annual required law known as Humphrey/Hawkins law. The Fed will release its Beige Book, Fed staff’s report frm the 12 Fed districts. June housing starts and permits. This is also earnings season, markets keen to see Q2 data and the potential to hold profits after Q1 actually was a plus for most public companies. After weeks of news frm Greece and the EU that peppered markets daily, the reaction so far this morning to the bailout news hasn’t lifted markets that much. Interest rates higher and stocks better but neither had the reaction many would have expected. Nice to see progress but it isn’t over by any means. Comments frm leaders of the EU and EU finance ministers that maybe Greece will have to temporarily leave the Union haven’t gone unnoticed. Several parliaments, including the one in Athens, will have to give their blessing before negotiations can formally begin. Euro-zone finance ministers will meet later Monday to discuss how to meet Greece’s short-term financing needs and avoid a dangerous default to the European Central Bank. By 10:00 MBS prices have improved and only off 16 bps frm Friday’s close after starting down 33 bps early this morning. The 10 hit 2.47%, now at 2.44% up just 3 bps frm Friday. Markets are now turning to this week’s economic data and Yellen’s testimony beginning Wednesday. The yield on the 10 yr note have increased about 25 bps over the last two weeks, mortgage rates up about 15 bps. Techs are bearish nw. The 10 yr has some support at 2.48% to 2.50% that may hold if this week’s data is softer than estimates. We suggest using any potential price gains to lock. Overall the economy is improving, last week in her speech in Cleveland Yellen referred to a rate increase this year, saying when the Fed does begin it will be “subtle” and slow. This entry was posted in Bond Market, Bond Markets, Equity, Finance, Financial News, Home Financing, Mortgage Rates, Mortgages, Rates, Real Estate, Real Estate Mortgages and tagged Bonds, CBO, debt, Economic News, Economy, europe q1, expert, Financ, Finance, Finances, financial markets, Financing, foreclosure, Home Equity, Home Financing; Real Estate; Real Estate financing; sales; interest rates, home loans, Independance, Interest Rates, Interest rates. peace. Bookmark the permalink.